It's This or Murder...: $20 Starbucks Giftcard Givaway, Hosted By How Was Your Day! $20 Starbucks Giftcard Givaway, Hosted By How Was Your Day! I love Starbucks. Everything Starbucks. From the Lemon Pound Cake to the cute iced coffee cups. Oddly enough, I'm not a fan of the pumpkin spice latte, but that's nothing personal, just my weirdness. 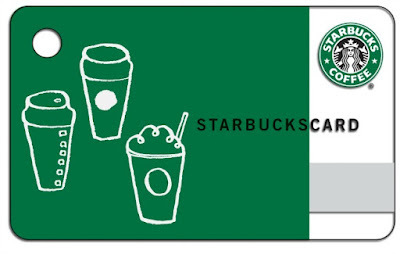 Anyway, to get to the point...You can win a $20 Starbucks giftcard. 'Nuff said. Enter here!